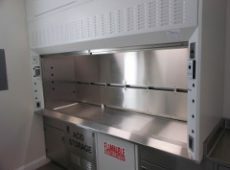 LOC’s Radio Isotope Fume Hood has a stainless steel lining and work surface with coved corners that facilitate through cleaning and a reinforced countertop to support lead bricks. 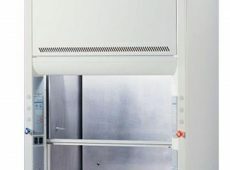 These features of the Radio Isotope Hood will help to ensure operator safety and convenience in procedures that involve the use and handling of radioactive materials. Optional service and electrical fixtures are available for installation in the Radio Isotope Fume Hood. Service fixture and electrical outlet types and locations are to be specified by the customer to fit each particular application. The static pressures listed above are for the hoods only. An appropriate amount will need to be added to this figure to compensate for the pressure drop through the duct system. The total pressure drop through the hood and the duct system must be known to select the proper exhaust blower. Type 304 stainless steel sash frame with full width flush pull. Interior liner is type 304 stainless steel with all seams welded and ground smooth which eliminates radioactive build-up. 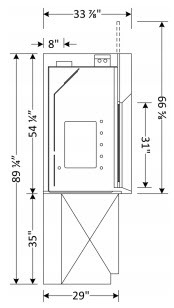 Integral stainless steel work surface is water tight and reinforced to support up to 200 lbs. per square foot. Equipped with a full view sash providing an unobstructed view of the hood interior. Sash is 7/32″ laminated safety glass and includes a spring loaded sash stop. Includes audible LOC500 airflow monitor for safety. Counterweight provides a one finger sash operation. Hood entrance is framed with inward-angled members to minimize turbulence and provide smooth air movement in hood at face velocities ranging from 60 to 150 FPM. Stainless steel airfoil allows 1″ of airflow across the work surface when sash is in the closed position. Double wall construction for ease of routing plumbing/ electrical lines. 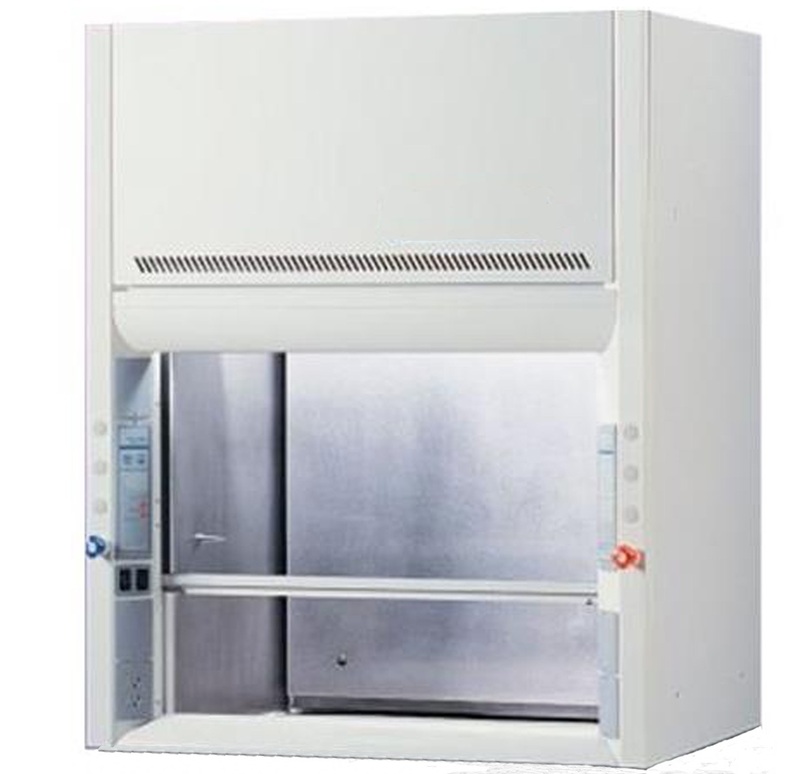 Lights are mounted above a sealed safety glass panel keeping corrosive fumes and hazardous vapors isolated. Tube lights can easily be replaced through the top front. 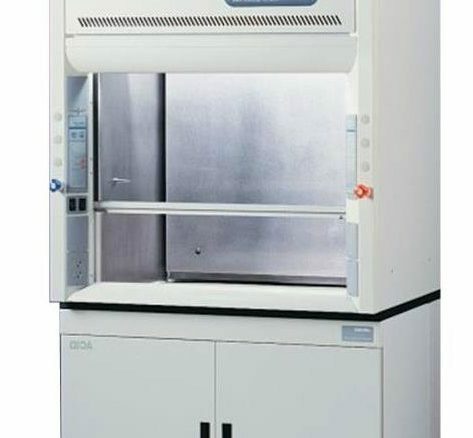 What Type of Fume Hood Does Your Lab Need? 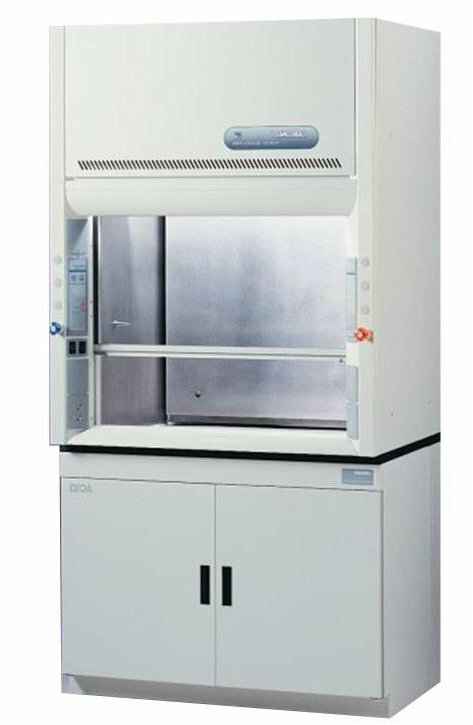 Why Does Your Lab Need a Fume Hood?